DATAMINE is a world leading provider of the technology and services required to seamlessly plan and manage mining operations. 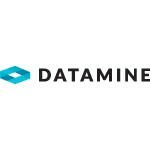 With operations in thirteen countries, DATAMINE provides solutions ranging from exploration data management and orebody modelling to mine planning and operations to over 1,400 companies worldwide. Our software solutions integrate with our consulting and training services to ensure that we provide our clients with industry-leading support and expertise.